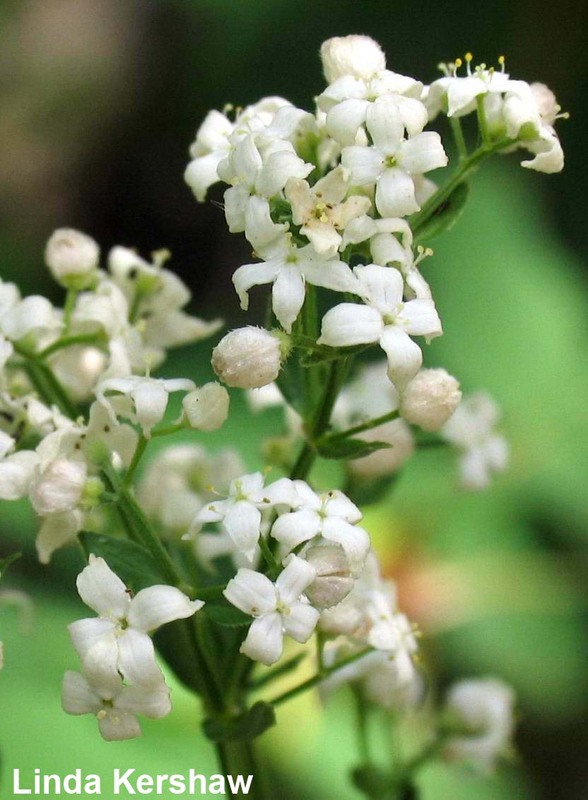 Galium boreale – Historically, this plant was boiled and used as a wash to remove freckles! 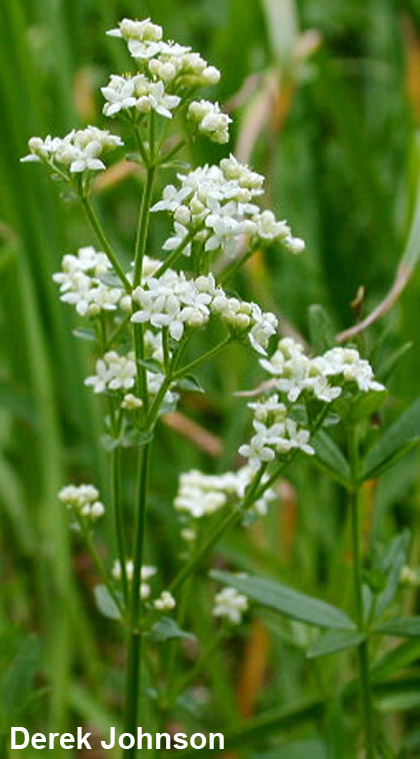 Northern bedstraw, a common herb, stands 20 cm to 60 cm tall, has square stems, and grows in clumps. 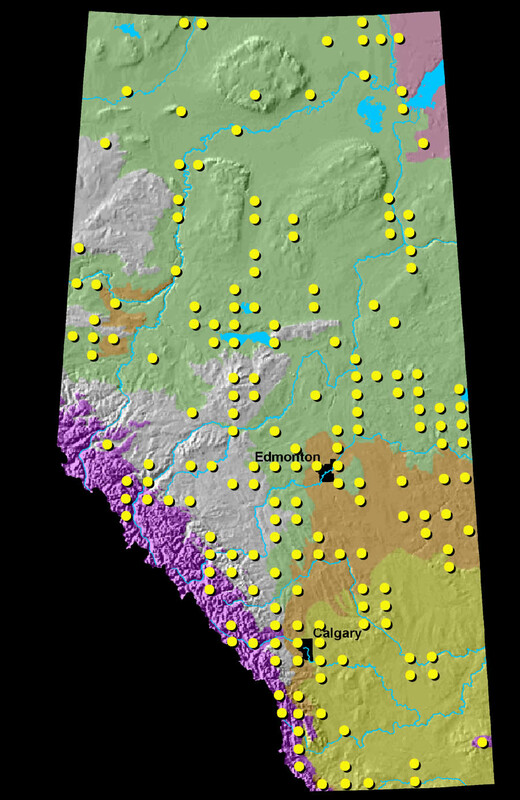 Leaves: Leaves are bright green, 2.5 cm to 5 cm long, and are arranged in whorls of 4, with each whorl encircling the stem (all leaves in the whorl are attached at the same height around the stem). Flowers: Fragrant flowers are white, 3 mm wide, have 4 petals and are shaped like a cross. Fruit: Pairs of tiny, round nutlets covered with short, white hairs. 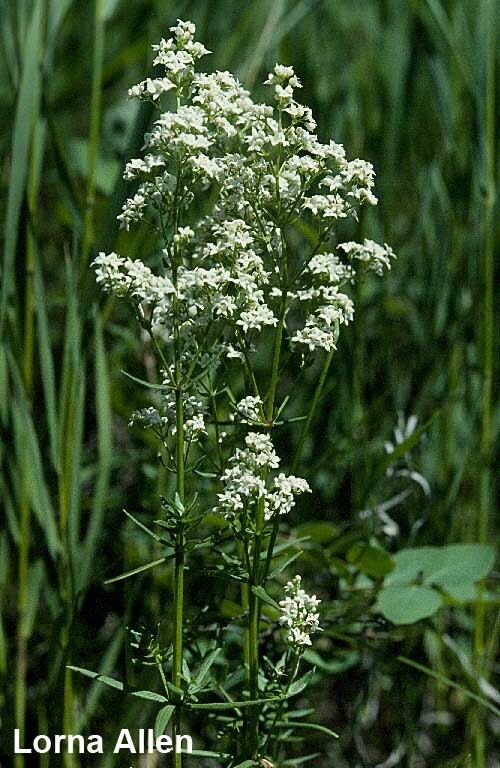 Northern bedstraw grows in forests, along roadsides, and in moist prairies. Cut flowers were heated and applied to relieve sore feet and muscles. A red dye made from the roots was used to colour porcupine quills for embroidery.